I recently sat down with Michelle Earley, Program Manager, to discuss the new changes for the 20th anniversary of USAJOBS. 1) What are the three big lessons learned from 20 years of building and managing USAJOBS? I think one of the greatest benefits of being an Agile program is that we are constantly learning. In 2013, our team implemented the first phase of the data warehouse which provided agencies with data that could be leveraged to improve recruiting efforts. These efforts have resulted in the team’s ability to pilot the Agency Talent Portal—a strategic recruiting tool for agencies that includes resume mining and interactive dashboards to find and recruit talent, and measure the results of recruitment campaigns. Beyond quantitative research, our team also conducts qualitative research leveraging the human centered design approach which was first introduced to our team in 2014 by our partners at the Innovation Lab@OPM. Through this partnership, the team has conducted over 80 user interviews, and facilitated over 16 workshops with job seekers, hiring managers, HR Specialists, and vendors, to gain a more comprehensive understanding of current challenges within the end to end federal hiring process. This research really highlighted the pain points users were experiencing and provided us with the opportunity to not only design towards the needs of users but to ground those design decisions in user feedback. Finally, I would say gaining a more defined understanding of all of the moving parts involved in the end to end hiring process. We have heard feedback around frustrations, many of which are targeted at USAJOBS. However, we have found in our research thatmany users are not aware that USAJOBS.gov is a career portal and that status updates, job descriptions, and hiring decisions are all managed by our agency partners. We identify this coordination as a challenge, but recognize how important our investment in these collaborative efforts is to the success of USAJOBS.gov and to federal hiring. In order for qualified and eligible applicants to be connected with the right jobs, we need to continue to refine: how the job opportunity announcements are written; how applicant expectations are being managed; and how we (the USAJOBS Program Office, Agency Partners, and Talent Acquisition System (TAS) Venders) are all sharing knowledge to ensure that all back end systems are working in unison with one another. Last month we hosted a summit that brought our agency partners and TAS venders together with our design team and program management office. We understand the value of engaging with our stakeholders and communicating the impact that each group and individual’s decisions and efforts have on users and on the federal hiring process. Beyond that we also wanted to bring to the forefront, that each of us is playing a role in the effort to improve federal hiring that is impacting millions of lives and acknowledge the responsibility associated with our contributions and efforts. 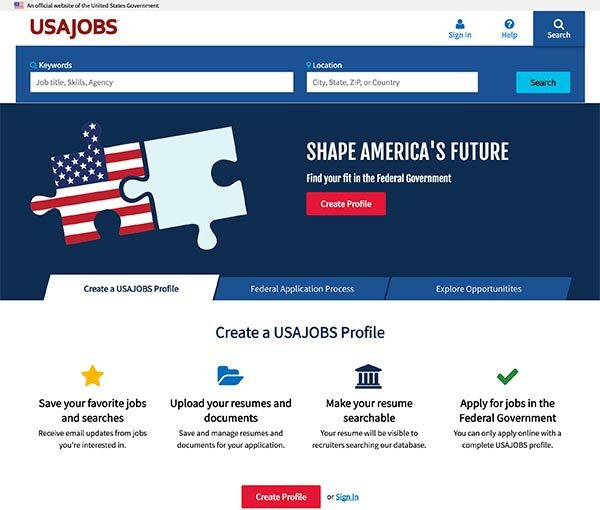 2) How does USAJOBS successfully incorporate technology changes into the application? In addition to keeping our focus on delivering a website that uses the research to deliver an experience that meets users’ needs and expectations, we must also factor into our schedule a technology roadmap. We always have three work streams in play: the development of the core website, the agency talent portal, and technology projects. It is critical to maintain up-to-date infrastructure so that we avoid technical obsolescence. We work to improve our approach in delivering services, including our latest projects, to migrate to a DevOps model. We are making significant progress with continuous integration, while starting to define how we will incorporate continuous delivery. We have also recently begun no-downtime production releases to better serve our customers. Soon, we will introduce the infrastructure to support A/B testing that will allow us to effectively measure changes. Our team strives to keep technology relevant and chart a course for new emerging technologies and methodologies. 3) What management innovations (human-centered design, lean/agile, etc.) have helped USAJOBS the most? Truthfully, I think I would be doing a disservice to our team to prioritize one management innovation over another. Each example you have provided has played a critical role in our ability to evolve a paper process into a customer experience. Additionally, as an Agile program we continue to iterate on how we approach design and management techniques. In the last year we have dedicated resources such as business analysts, a testing coordinator, and an agile coach to a core scrum team which has allowed us to deliver more rapidly in our releases. Our Data Analytics team is working with GSA to leverage their Digital Analytics Program (DAP) to collect data about customer behavior and to create testing scenarios that mimic how USAJOBS.gov is actually being used. And we continue to explore Change Management practices and techniques to improve our communication efforts and engage our stakeholders in more intentional and strategic ways. 4) What is in the future for USAJOBS: blockchains, chatbots, augmented reality? We are interested in finding new, innovative technologies to solve problems and meet user needs. We continue to conduct market research into products that may become a future offering. There are three areas that we are currently exploring which include: (1) ways in which to eliminate the need for uploading require documents and connecting with the systems record that house the information; (2) offering greater personalized help to guide users; and (3) the ability to match job seekers to jobs. Through our research, we have identified promising tools to tackle these problems and we will continue to research these solutions and bake them into our roadmap. 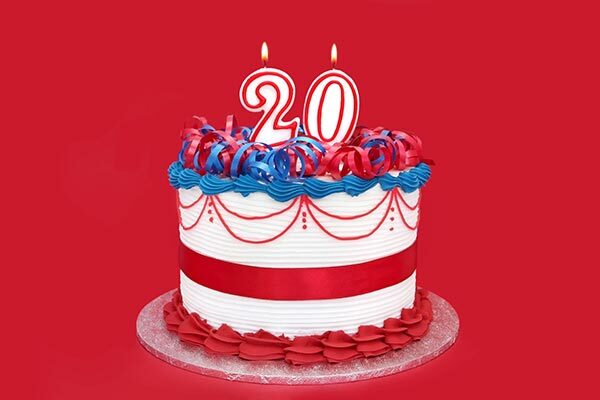 Looking forward to seeing what the next 20 years brings for USAJOBS! Each week, The Data Briefing showcases the latest federal data news and trends. Visit this blog every week to learn how data is transforming government and improving government services for the American people. If you have ideas for a topic or have questions about government data, please contact me via email. Dr. William Brantley is the Training Administrator for the U.S. Patent and Trademark Office’s Global Intellectual Property Academy. You can find out more about his personal work in open data, analytics, and related topics at BillBrantley.com. All opinions are his own and do not reflect the opinions of the USPTO or GSA.